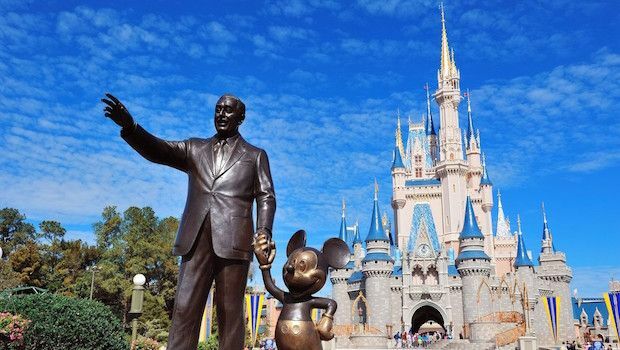 Walt Disney World is one of the world’s most-visited tourist destinations. The gigantic complex — home to four full-size theme parks, two water parks, and nearly 30 hotels — is renowned for its clean, spotless appearance and impeccable guest experience. So why has Disney abandoned the River Country water park, allowing it to rot right in front of guests’ eyes? River Country, which opened in 1976, was one of the first major additions to the Walt Disney World complex. The “Tom Sawyer swimmin’ hole”-themed park was one of the first themed water parks ever built. The park was a constant over the next two-plus decades, remaining open even as Disney World exponentially expanded — including the additions of new Typhoon Lagoon and Blizzard Beach water parks. That all changed in 2001. River Country closed for its normal winter refurbishment that November. But it didn’t reopen with Walt Disney World’s other two waterparks. Disney remained silent on the issue for months before releasing a statement in 2002, which said the park would be closed for the remainder of the year. The park remained closed in 2003 and 2004 before Disney officially announced in 2005 that River Country was closed for good. Since Disney never gave an official reason for the closure, many reasons have been speculated, including safety concerns, a deadly amoeba growing in the water, or even after-affects of September 11. According to ThemeParkTourist.com, the reasoning was more straightforward and financial in nature than the wilder theories indicated. “…What had been a significant new attraction in 1976 had become too small and not profitable enough by 2002, particularly in the wake of the September 11 attacks. Without the attacks, it may have continued to operate for a few more years, but it was always a tempting target for cost savings,” the site concluded after examining the history of the park. Surprisingly, given Disney’s reputation, they’ve done very little work on the River Country site since its closure. The company has allowed the park’s attractions to waste away instead of tearing them down, despite the park’s placement right in the heart of Walt Disney World’s property and visibility from numerous guest areas. The deteriorated park has become a popular site for “urban explorers” to — illegally — enter and document through internet photo essays and YouTube videos. Photos taken by various photographers over the years present River Country as a wasteland. The slides, pools and walkways have been overtaken by nature in a way reminiscent of Life After People documentaries. Today, River Country still sits (mostly) blocked off from the rest of Walt Disney World. There are no announced plans to tear down the remains of the attractions, or reuse the land.